Today you can find software to meet your every need from a task list app to keep track of what groceries you need to pick up to a business management system that is going to keep track of what your customers are purchasing and how much they are spending. Oh and there’s software that does even more amazing things like running the rockets (and the retired shuttle fleet) that put people up into space. Although this is probably going to be a little out of budget for average city dweller. Reuters once reported that the software designed for the space shuttle program cost $5000 dollars per line, yes PER LINE! Now think that that code base had around 500,000 lines initially. The problem with having all of these amazing systems that aim to make our lives that little bit easier is that you have your data in a large number of different places. This will always be an issue because certain applications will obviously need to store different data about you. However what happens when you want to move between services? The hard truth is that often it is a pain staking process of manually recreating a data profile item by item. This may be okay if you only have a few things to transfer but when you’re transferring years of invoices to a new invoicing system it’s painful (trust me, it will drive you to insanity). Wouldn’t it be easier if you could just get all of your data out of the old system with a simple click and then drop it into the new system. Well yes it would be, but who is interested in spending vital development time (and money) on helping people to leave their product. Many traditional businessmen might ask you to visit a shrink after proposing something as utterly ridiculous as making it easy for people to leave. However there is a lot of good that can come out of investing time in making sure that you provide a positive user experience right to the end, after all the easier it is to leave the more confident your users will be when putting their data in your hands. By fulfilling all of these points you are well on your way to making sure that you are providing your users with the best possible experience. You might also find that they are more likely to use your products again in the future. 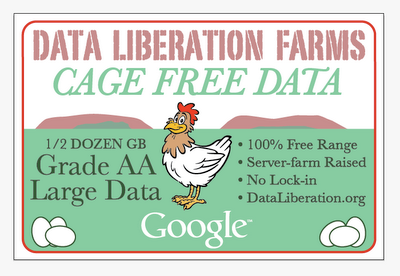 I plan to build ‘data liberation’ tools into all of the software that I produce in the future, and might even revisit some old projects. My view is that it’s time wisely invested, what do you think?